– Inspiring and empowering others to step up. – Building relationships and collaborative efforts. • Practical ways to engage the community in the process, and to recruit, retain and reward volunteers. • Experiential Leadership training methodology and structures. 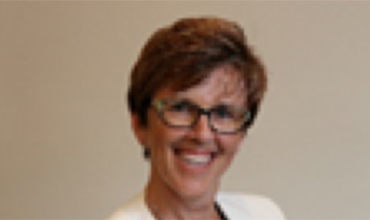 Kat is the Chief Executive Officer of the Victorian Regional Community Leadership Programs Secretariat (VRCLP). Kat brings a wealth of experience in strategic planning, organisational design, human resource management, program design and implementation. Kat possesses strong research, analytic and evaluation skills and enjoys learning new technology to encourage best practice thinking and efficiencies across organisations she works with. Her current passion is learning all there is to learn about social impact measurement. A community enthusiast and social entrepreneur, Peter has worked with 2000+ communities across Australia and in 59 countries seeking to facilitate fresh and creative ways that stimulate community and local economic renewal. Motivated by the desire to create caring, healthy, inclusive and enterprising communities, Peter, through his organisation, the Bank of I.D.E.A.S (Initiatives for the Development of Enterprising Action and Strategies), helps communities spark their own ideas and invest themselves in building sustainable futures. In the last year, he has worked with 70 communities from Marble Bar to Margaret River, Launceston to Mission Bay, and convened community building conferences in Australia, India and New Zealand. A keen author, Peter has written 16 books on community and economic development, youth policy and enterprise. Peter’s passion and purpose sees him traverse the globe continuously in his relentless desire to enable communities to discover their strengths and transform themselves. In 2003, Peter was awarded a Centenary Medal for services to rural Australia, and in 2017 was designated the West Australian Senior Person of the Year in recognition of his role as a social entrepreneur.